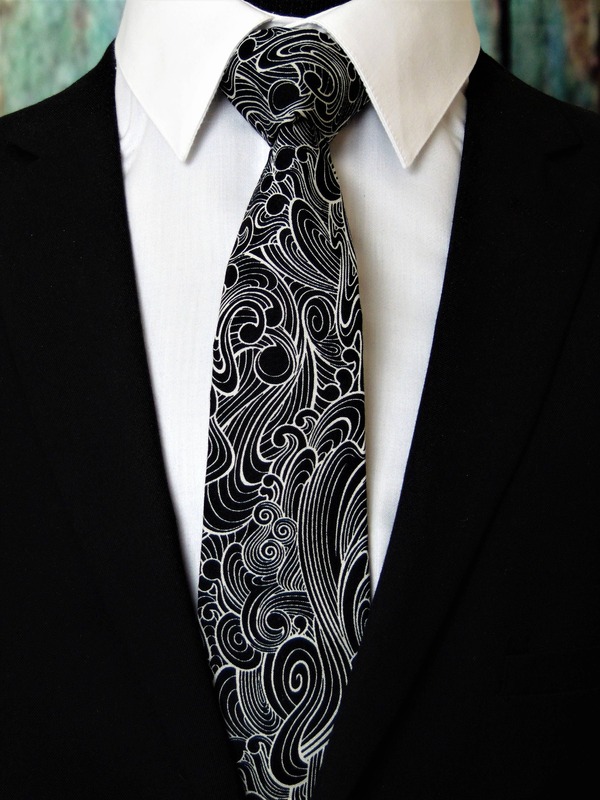 Black Ties – Black and White Tie, Also Available as a Skinny Tie. 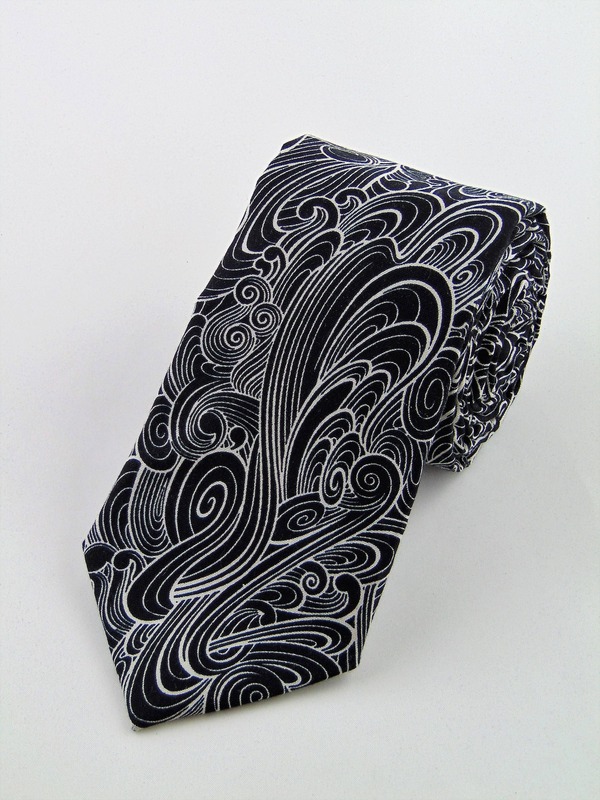 This is a unique black and white contemporary necktie. 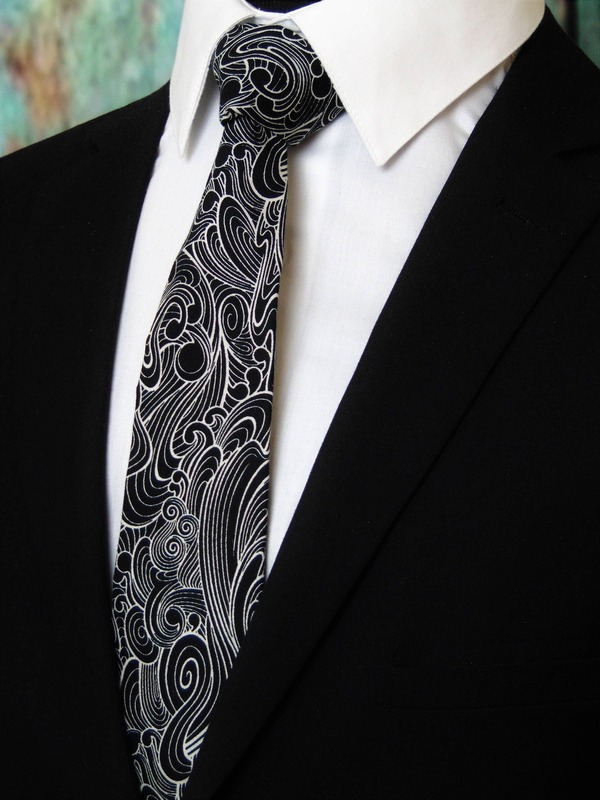 Great for weddings, work or everyday use.